I’ve received the “Introduction to Music Production” Statement! 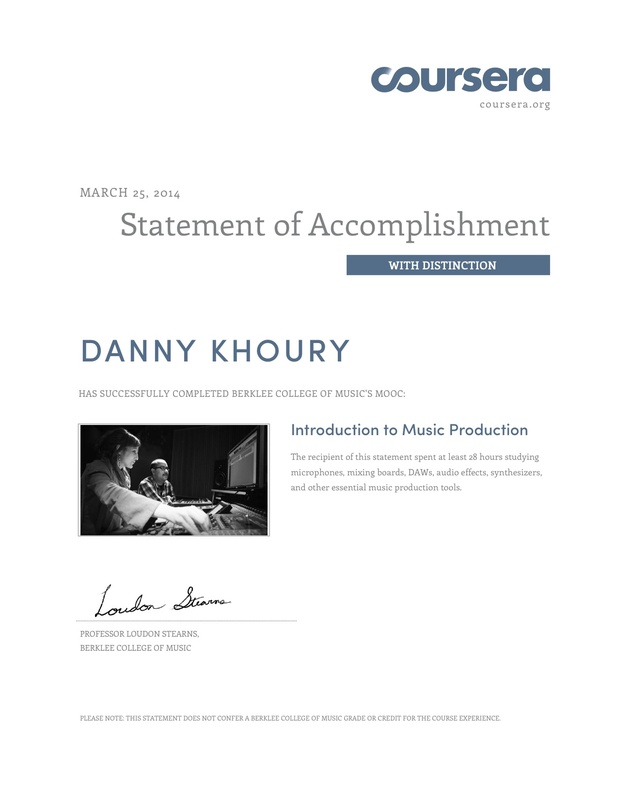 I have finally finished the course Introduction to Music Production by Berklee College of Music at Coursera.org. I was actually tough, but fun at the same time. For those who have enjoyed the assignments I did as infographics, I will be releasing the rest soon. Btw, below is a Statement of Accomplishment I received! For my second assignment in Introduction to Music Production course which I’m taking, I worked on another infographic. This time it visualizes a checklist of the steps and configurations needed to be taken in preproduction before starting to work in the Digital Audio Workstation (D.A.W.). 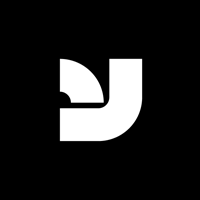 For those of you who are not familiar with DAWs, a DAW is a software that plays a major part in the current music production process through Recording, Editing, Mixing, to Mastering a music track. Some examples of a DAW are Apple Logic Pro, Pro Tools, Reason, Cubase, Ableton Live, Adobe Audition, and the simpler, lower-end Garageband (for iOS, for Mac), among many others. You can share if you like it especially inf you know someone who could benefit from it! Configuring Your DAW by Danny Khoury is licensed under a Creative Commons Attribution-NonCommercial-NoDerivatives 4.0 International License. Permissions beyond the scope of this license may be available at http://be.net/dannyk/.